And not only one, for example my Core i7-4790 has three Levels of cache, two L1 (both 32 KBytes), one L2 (256KBytes) and one L3 (8 MBytes). Anyway altough they say that OS patch for Meltdown may decrease performance, it is only in very specific cases, normal users should not be affected. Could anyone please tell me what cuda is the best for this miner? I have a problem on one of my rigs since I started using 0.5.8. The miner crashes every like 2 days. So, what info can I provide to you so you can check it out? It was stable on 0.5.7 since it was released. From the one miner that i have which is running Intel G4400 and 8 GPUs (1x 980ti, 7x 1060 3GB). So about 1.23% decrease in hashrate. meltdown can allow other programs on the machine (even in other VMs) to read the processor cache (fast ram built into the cpu for fast access to data/instructions it thinks it will need next compared to going out to main memory). its possible (guessing here) that network share passwords and credentials may be there on occasion. if you have those, your network is compromised. although other malware would have to work in concert with it to do that. at least as far as i understand it. keep in mind im no expert, but i do take my rigs and network seriously. this treat seems more serious for cloud computing then home users but hey additional security is additional security. every little bit helps. How exactly can I use the json-rpc? I've enabled the telemetry. If i load IP:port in browser i see the page. 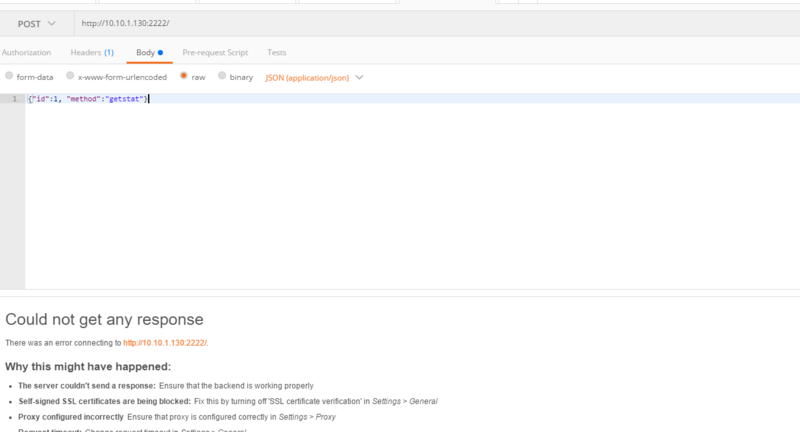 So for json-rpc i tried different options with postman and failed on all. Is there something that i'm missing? Thanks for this, I find this version much more stable compared to 0.5.4 which I'd last tried on my Windows 10, Nvidia rig (2 x 1070, 1 x 1080) and also 6-7% better performance than EWBF. I wanted to ask how to get email notifications whenever there are updates? The forum only offers notifications for the entire post/all new replies and I don't want that. Let me know if there's a way to do that. Thanks! @DSTM - I'm still using ver 0.5.7 and gratefully paying the 2% devfee, but I have a question/suggestion - Why does the console output keep changing the order of the GPU stats it displays. It starts out as GPU0 onwards in order, but after an hour or two or three, it appears to randomize the order. See screenshot #1 linked below. This makes it quite confusing (and annoying) while viewing the console output to gauge real-time changes. Also, the apparently random order itself keeps changing every so often, making it even more confusing to view. See screenshot #2 linked below. Ensuring that the GPU rank/order is maintained would make it much easier to gauge real-time performance changes with a quick glance at the console, esp while tweaking for better performance. Hi what about your clock settings? 200/600 core/memory or something other? Do you guys run any kind of malwarebytes, or Norton, windows defender security? Hi, I have all with 200 core, 700 memory, 70% TDP. I think this is the best and stable setting for 1070 ti. None of those products can defend against Spectre or Meltdown. Nothing like that on rigs because they only have miners on them. My everyday machine run MacOS so that removes most of those attack vectors. Then a hardware wallet completes the equation. (don't care about number its an example) but if i don't have this signe : " + " at each endline its not a problem? This is my first post on this forum, despite being interested in crypto coins practically since beginning of BTC, so Hi everyone. I'm thinking about building rig that would be most efficient. Everyone is comparing Sol/s or Sol/W, but as dstm stated (went practically through whole thread yesterday ), performance should be measured by I/s. 24h runs averages would be best. If brand model name has been previously added by someone, use the same model / brand name so in longer term we can easy compare between products and models by filtering only by them. If possible provide results without OC/Undervolting. Thanks and keep up good work! Is that you on the EWBF thread? Seems like you're busy researching miners around.